Please tell me I’m not the only one who hears Arnold Schwarzenegger’s voice when you say the name of the CARB Fx Resinator…emphasis on the Resinator, of course. Maybe I’m just going a little crazy. 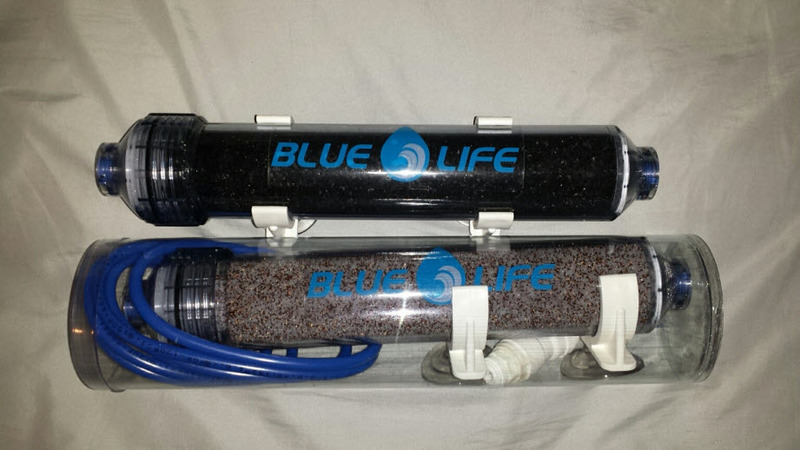 Anyways, Blue Life USA has a neat little reactor of sorts hitting the market soon. The aforementioned CARB Fx Resinator is a pre-assembled pressurized media reactor that has can run as a single unit or be linked together with multiple individual units. 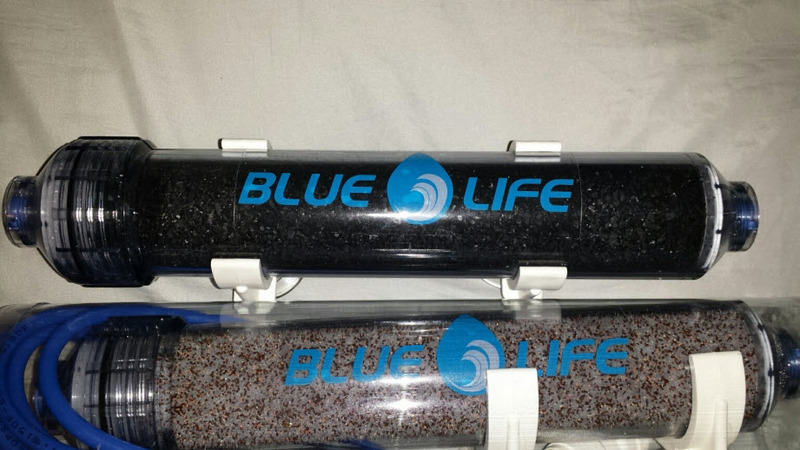 The kit comes with pre-filled media packs that contain Blue Life USA’s CARB Fx Super Carbon, though additional units are sold containing BIO FX, PHOS Fx, or a BIO Fx/PHOS Fx combination. As the media is exhausted, it can be replaced with virtually any make or model media on the market. The units are $80 each, or $100 for a pair, with the PHOS Fx cartridge costing an additional $15 per unit. All of the plumbing is included for straight out of the box operation. A small feed pump is required and sold separately, and Blue Life recommends using a MaxiJet 600 or 1200 model pump. Each unit measures 14″ long and is mountable in a variety of locations and orientations. A single CARB Fx Resinator is good up to 180 gallons. How does it differ from the likes of other media reactors? Well, the closed system is pressurized like a reverse osmosis unit, which does a better job forcing the water through the media and not around it in channels. This helps with improving its efficiency over the long run, making for a better overall reactor.